Can I first say, OMG, OMG, OMG!!! I AM GOING TO BE THE GRANDMA OF TWINS!!!!!!!! I CAN HARDLY WAIT!!! OMG! Ok…I had to scream that to the world. I can now continue. 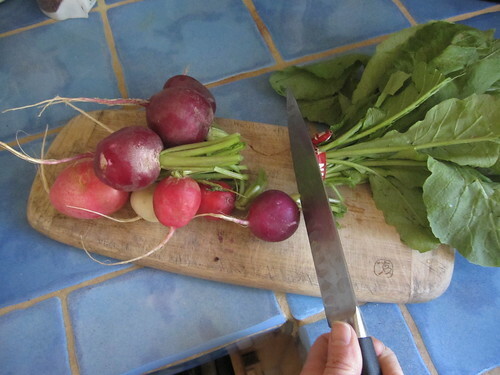 Every other Thursday, I pick up my box of vegetables from my farm co-op. I love bringing them home and laying them on the table, sorting them, cleaning them, cutting off the leaves from the root vegetables, and generally admiring their beauty. But at times my garden harvest combined with the bounty from my box explodes, especially if I have been away for a few days, which is precisely what happened last week. 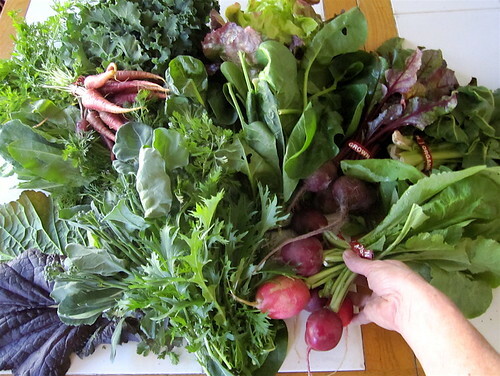 Here are the vegetables from my box combined with my garden harvest: carrots, beets, giant radishes, kale, lettuce, tatsoi, sorrel, spinach, mizuna, mustard greens…. ...Not to mention what was already in my refrigerator: too many vegetables, even for a die-hard vegetarian such as myself. 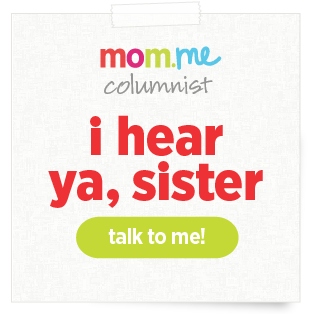 I felt a tad bit overwhelmed (perhaps a little mother-daughter empathy going on here?) and tried not to panic. I had to figure out what to do with all of these vegetables. 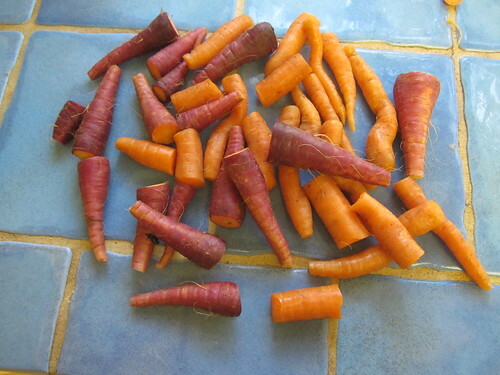 After inventorying all of the produce, I removed the tops from the root vegetables. 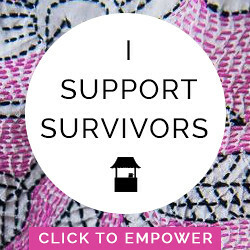 (This is important. If you leave the leaves on, the roots get soft and limp). 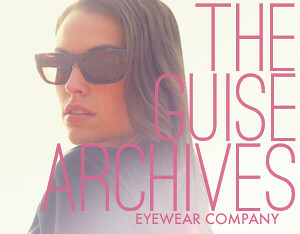 Then I stared at everything, took a deep breath, and plunged into the planning. I hadn’t made it in awhile, and frankly had forgotten about it. I coined the term a couple of years ago when I made a vegetable broth from odds and ends and random scraps of vegetables that I had in my refrigerator. Anything (that isn’t slimy) can go into it—even lettuce and the peelings of carrots. 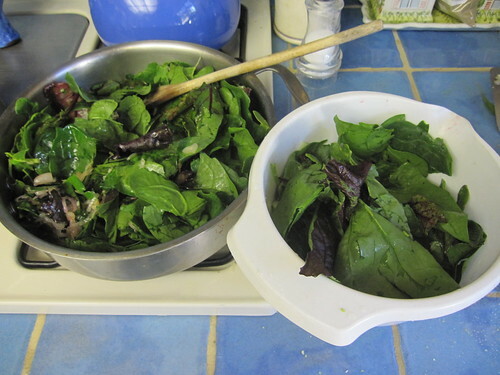 I brought out all of the vegetables from my refrigerator—the greens from leeks, the tough kale stems, some tired celery and carrots, and some collards that we hadn’t eaten. After washing all of them, I threw them in a pot with the carrot and radish tops from my box (yes, they are both edible and are great in soups!) and some herbs and bay leaves. I saved the beet tops for another dish since they will turn the soup red. 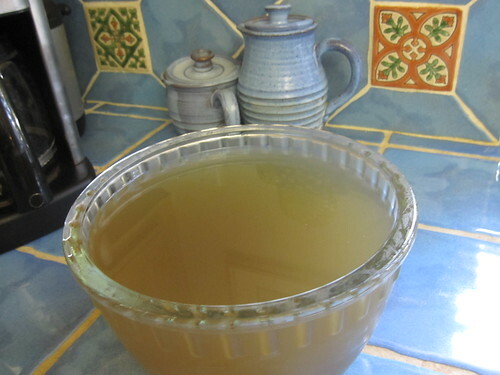 Making a vegetable stock is a great way to use lots of veggies. You can add almost any vegetable, although I don’t like adding broccoli or cauliflower since they are too sulfuric. Add parsley or cilantro for lots of flavor (I love the cilantro in my stock). Just cover the vegetables with water, bring to a boil, and cook for about an hour with herbs of your choice and a couple of bay leaves. Strain the broth, compost the solids, and freeze the broth in containers. You can use this broth for the basis of any soup recipe. My sister-in-law, Nancy, gave me a great tip—If you aren’t ready to cook your broth, just freeze all of these odds and ends (tops of leaks, random tough stems, etc) and then when you have collected enough for a soup, take them out of the freezer and combine with whatever other vegetables you have in the refrigerator. When my pot was on to boil, I felt a little better about being able to manage my massive amounts of produce and planned what else I would make. I still had a lot of greens: kale, chard, spinach, mustard greens, and beet greens as well as a bunch of sorrel and a lot of carrots. I decided to roast the carrots and sauté the greens with garlic and shallots to serve over polenta. Homemade polenta is so delicious and it very easy to make (and very inexpensive). All you need is cornmeal (medium ground) and water. If you want to add variations such as milk, butter, or Parmesan or other cheeses you can, but it isn’t necessary. You can make creamy polenta or pour it into a pan to get firm and fry it. I like it both ways. Heat water to a boil. Add salt and lower the heat to medium. Slowly add the cornmeal in a continuous stream, whisking as you add it, so no lumps form. Continue whisking until the mixture boils. Then turn down the heat to barely a simmer and cover. Every 10 minutes or so, stir with a wooden spoon. Cook for 35-40 minutes or until the cornmeal loses its raw flavor. Stir in the butter (and cheese if you want it). Serve immediately. Top with greens or any other vegetables (or mushrooms). Or, pour into a 9x9 square pan to set. 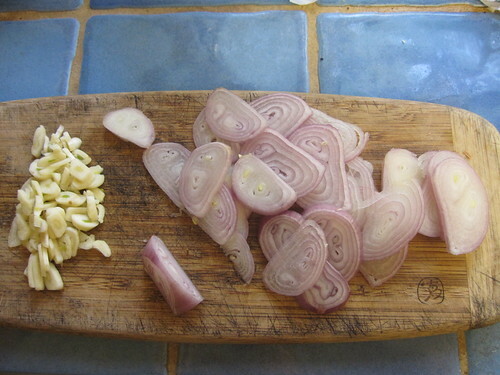 Refrigerate until set, cut into large squares, dust with flour, and fry in hot olive oil until brown on both sides. 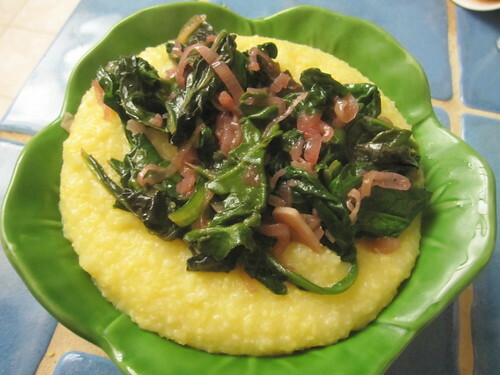 I took the greens and shallots recipe I made a couple of weeks ago and modified it to go well with the polenta. And I used LOTS OF GREENS which is awesome considering how many I had to start with! 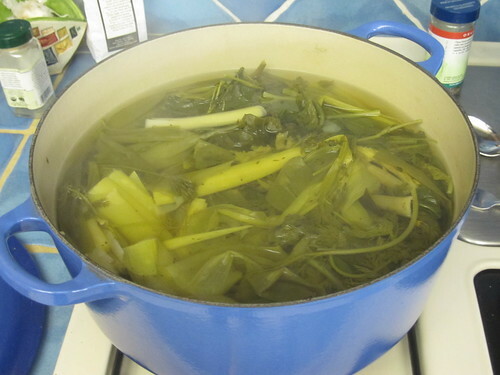 Clean all greens well and tear off any tough stems (save these stems for Compost Soup). If using kale, boil for a few minutes to soften and then cut up. For the rest of the greens, tear into pieces (about 3 or 4 inches). 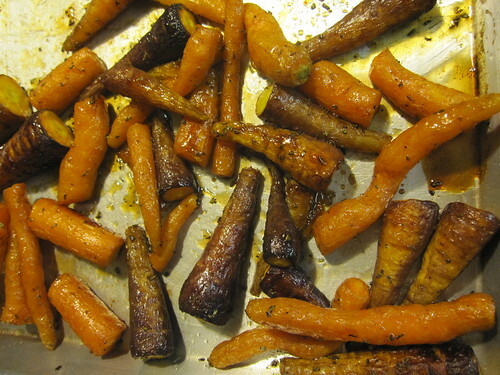 Toss carrots in a drizzling of oil, sprinkle with herbs and salt and pepper, and toss again. Roast carrots (in a single non-overlapping layer in pan) at 425 until tender, about 15 minutes. Drizzle with honey and cook another few minutes. The rest of the vegetables I will use for other meals. I’ll have plenty of time in the week to figure out ways to cook them. For now, I feel back in control of my vegetables and have cleaned out my refrigerator at the same time! This looks so good! I wish I had all the ingredients to make it for dinner tonight. I'm putting it on the menu for next week. I just want to let you know how much I enjoy your recipes! I now know not only WHAT Kohlrabi it is to make! Thank you for all of your healthy eating recipes and ideas. I love the pictures that go along with them too. And of course, CONGRATULATIONS on your twin grand babies! I have tried several recipes now and everything has been ah-mazing. Wow..you read my mind (or rather my refrigerator) WWW! I have an abundance of baby carrots & green plus some ready made polenta lying around...this is exactly what we're having for dinner tonite. I would never have thought to roast the baby carrots or fry the polenta...that will help make it a lot more palatable to my husband who I am easing into the vegetarian/healthy thing. Your mother's recipes are changing my life, I swear to the big deity upstairs. CONGRATULATIONS on being a grandmother of twins to be! You will be excellent and make many a batch of gooey thomas for them! I have only just found corneal in one of the supermarkets in London so have been making cornbread, but will try this recipe - looks yummy. I love me some greens. The compost soup is brilliant! Have you ever tried making panelle? It's like polenta, but with chickpea flour. It's DELICIOUS! Thank you, lovely readers, for all the love. Anon, I haven't tried panelle..sounds awesome. I'll try it, soon. Thanks for the tip! This looks delicious!! I have a bad habit of letting vegetables go bad in the fridge before I do anything with them. I'm excited to know about compost soup. This is my favorite family, ever. 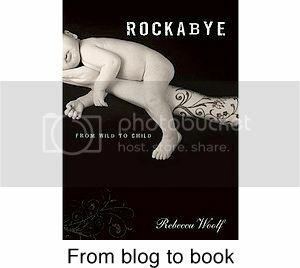 I don't have kids, probably won't, and barely cook, but I read this blog religiously because of the great writing, great pictures and wonderful people. And for the music recommendations. Congratulations on the new family members! Congratulations on your future twin grandchildren! :) :) I wanted to let you know how much I appreciate your Eat Well posts. I am a beginner cook, currently learning some of the basics of cooking... but your posts (with accompanying photographs) make the whole process seem a lot simpler and less scary! I saw the picture/recipe yesterday and couldn't resist. 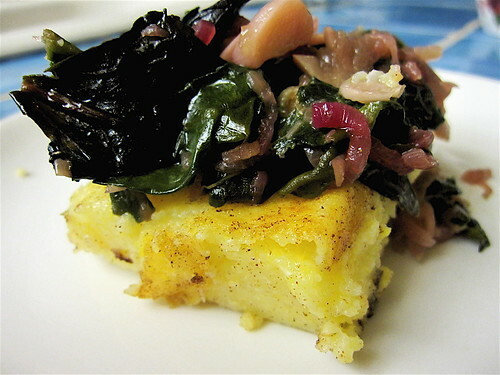 So I made polenta with greens last night as part of my husband's birthday dinner. We all loved it! My three-year-old daughter asked for the left over polenta for breakfast this morning. Great ideas! They all look great. these posts are amazing. thank you for imparting your wisdom on us! i just became vegetarian midway through january and these have been super helpful with the conversion AND delicious. My mum loves being a nanna to twins, too! 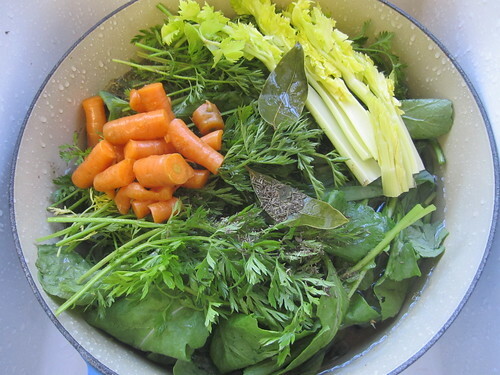 Suggestion to your compost soup? Peppercorns! They give the broth SUCH a warmth.